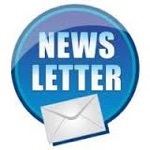 Please call or email if you wish to pay by Bank Transfer or finance. 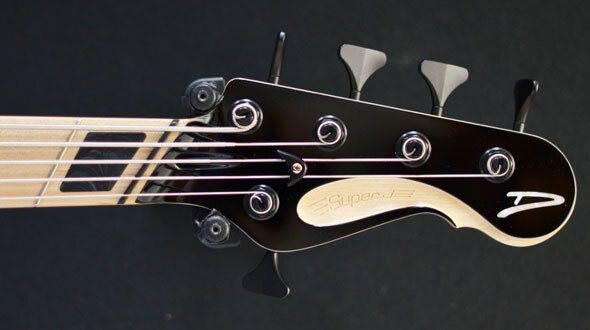 A truly superb take on the classic jazz bass. 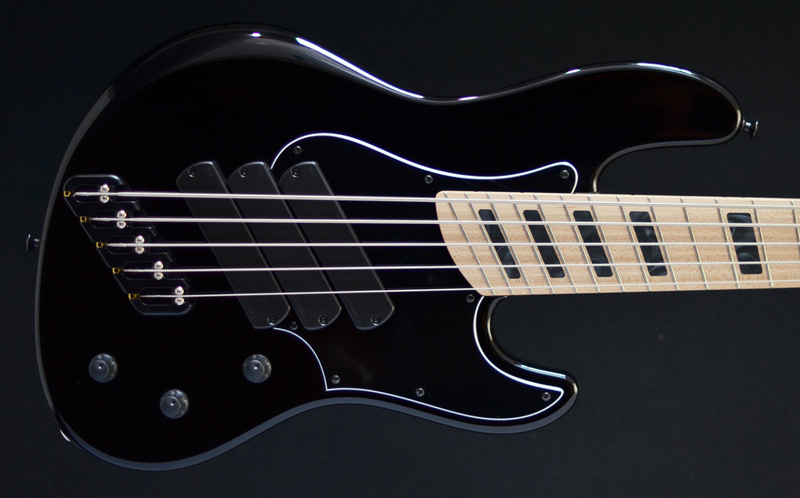 With impeccable build quality and the highly intuitive fan frets this bass plays beautifully. The scale length is 34.25" on the E string and 32" on the G string giving the G a full and punchy tone with great consistency of string tension and tone from the E to the G. The electronics are smooth and responsive and the general tone is that of the classic Jazz bass but more modern and precise. 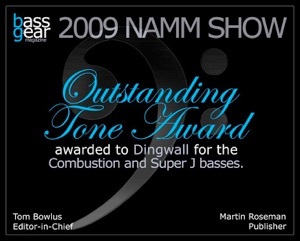 This is another fine example of Dingwall's work and deserves serious attention. Call us for a demo. 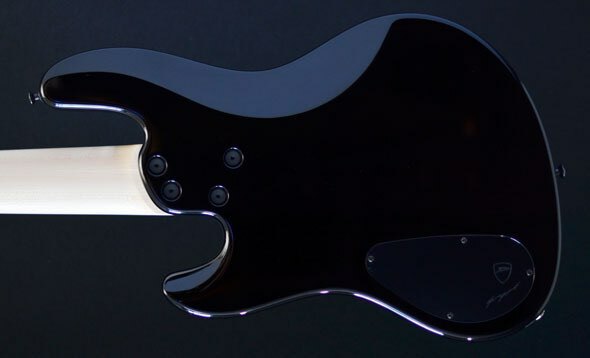 The Afterburner I and ABZ basses feature passive electronics with powerful tone shaping capability. The controls are a simple, no nonsense master volume, a rotary pickup selector and a master tone. The rotary pickup selector doesn’t load down the pickups like a blend or second volume control. The resulting tone has great dynamic range with lots of punch. The tone gets really growly with the bridge pickup soloed. Switch to both pickups in parallel for a nicely “produced” sounding tone with scooped mids that’s great for sitting back in the mix with lots of detail to the note, or for a perfect slap tone. Need more power? Switch to series for a heavy, full sounding humbucker tone that cuts, make that pounds through a mix. Looking for a deep mellow tone reminiscent of a 50’s P? Solo the neck pickup, dial down the tone a bit and you’re there. Alder is the traditional wood for the J style bass. It can’t be beat for a traditional warm tone. Due to the internal tone chambers of in the Super J body we add a bookmatched Alder top. This gives the natural finishes a nicer look too. 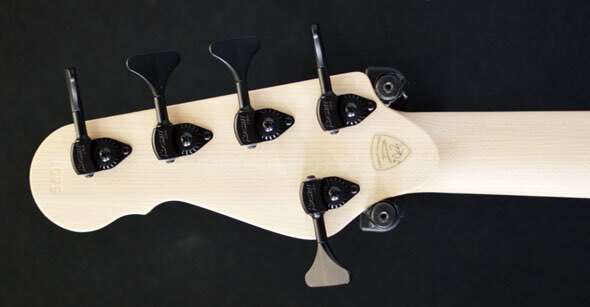 Swamp Ash is a great option for those who would like a little less mid presence in their tone. It has a very distinctive grain pattern. Due to internal tone chambers in the Super J body we add a bookmatched Northern Ash top specially cut for maximum grain pattern. Northern Ash has a stronger grain pattern than Swamp Ash guaranteeing a stunning looking top.